This was one of my more popular projects on my blog, in fact it was even featured on Apartment Therapy. Yay!! I used a transfer medium called Omni Gel, and applied the images onto some marble tiles. 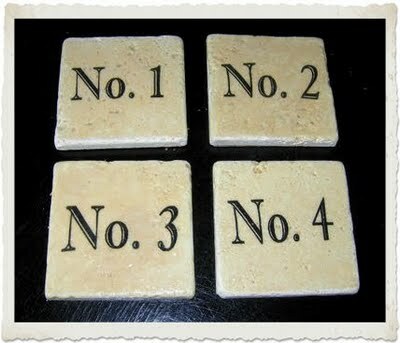 You can find the full Tutorial for the Vintage Number Coasters along with the Printable on my blog. Hometalk Twitter Party – Thrifting Theme! 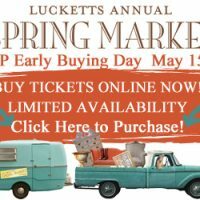 French Rubber Stamp Postage Kit GIVEAWAY – CLOSED Lucketts Spring Market 2015 with VIP Early Buying!